Dozens of people died after getting lost in Utah’s Grand Staircase-Escalante National Monument because federal regulations prohibited officials from putting directional signs in place, a Utah county commissioner said. 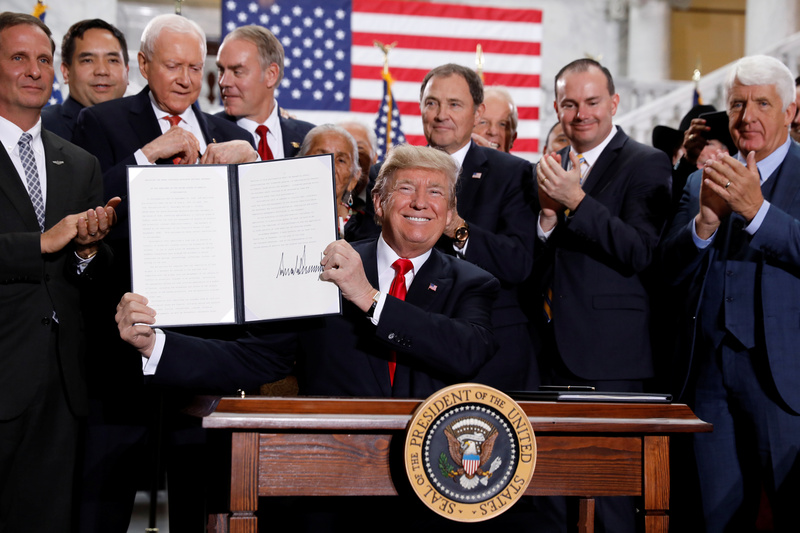 Leland Pollock, the commission chair for Garfield County in Utah, testified in front of Congress Wednesday on President Donald Trump’s decision to roll back the designation of GSENM. The monument, established in 1996 by former President Bill Clinton, took an “egregious” toll on human life, Pollock testified. “Reports indicate that in the 20 years the Clinton monument has been in existence more than 50 individuals have lost their lives, largely due to lack of appropriate, low cost signing. Most of the deficiencies with the Clinton monument can be attributed to overly restrictive regulations which prohibited reasonable visitation management,” Pollock added. Democratic lawmakers called the hearing “Forgotten Voices: The Inadequate Review and Improper Alteration of Our National Monuments” and focused largely on the Trump administration’s December 2017 cutbacks of two national monuments in Utah, GSENM and Bears Ears. The hearing, meant to be a reckoning on the review process that resulted in the cutbacks, grew partly into an indictment of the original GSENM designation. The Clinton administration largely kept the decision a secret until it was finalized. The administration sought no public input, nor did it consult with the state’s congressional delegation. Nicole Croft, executive director of Grand Staircase Escalante Partners, slammed the Trump administration for suspending the monument’s advisory board, though the board had no decision-making authority. “He suspended the Monument Advisory Committee, which was comprised of locals, stakeholders and BLM leadership, and stopped the committee from discussing issues, addressing management concerns or new approaches, along with BLM management updates. This was exactly the venue for local stakeholder involvement,” Croft testified.